We recently camped out in our backyard to do a trial run of camping with our kids as we are hoping to do some camping later this summer. So in spirit of our camping adventures, I created this set of free printable camping themed WH question cards to work on camping vocabulary, while targeting a variety of speech skills that J is working on. The main goals that these speech cards focus on are answering WH questions, oral comprehension, and expressive speech. Please keep in mind that I am not a speech therapist. I made these cards simply to help my son practice WH questions, oral comprehension, and expressive speech. Some of the questions require more detailed answers. 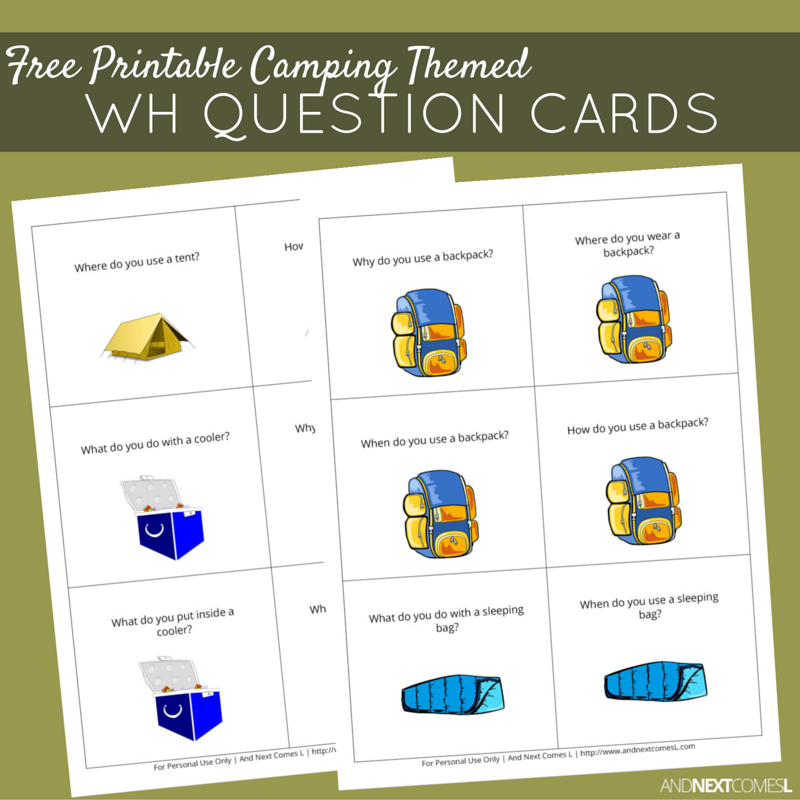 This printable pack includes 34 camping themed visual WH question cards.